My husband walked into the kitchen after we put our kids to bed and found me serving up a bowl of ice cream and stealing part of my kids homemade ice cream sandwich. He looked at me, recognized the seriousness of the situation and kept walking. He knew his life was in jeopardy if he tried to stop me or reason with me. He understands the “Mommy’s Hierarchy of Needs” based very loosely on the Maslow’s Hierarchy of Needs. 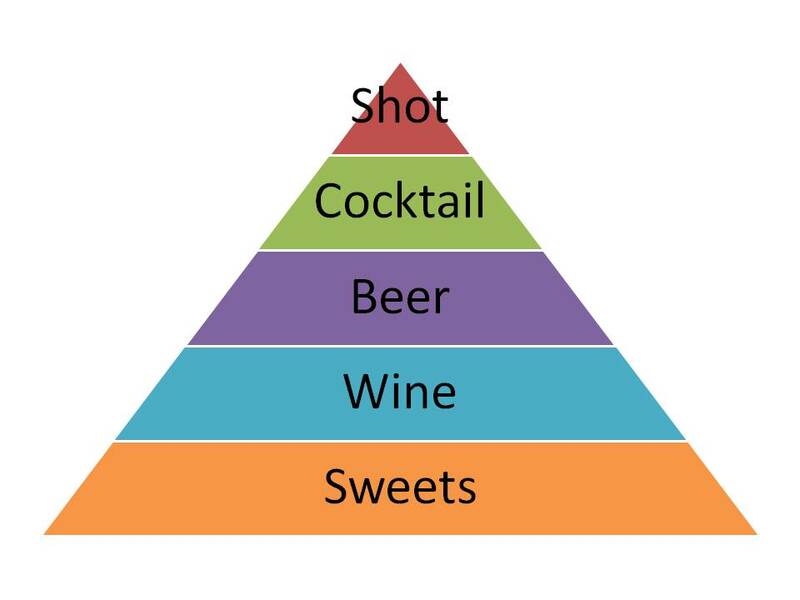 As you can see, from the scientific diagram above, there are 5 levels of need. Within each level, the amount needed to cope can vary based on the severity of the day. Sweets is level one, but one M&M is a good day compared to a whole chocolate cake which is a catastrophic day. The most rare and severe level is a shot. If the day requires a shot, alternative child care should be arranged! However, the pyramid can also represent exceptional days, where each level would denote the amount of celebration appropriate for the occasion. With good days and bad days, levels can be combined to most accurately represent the situation and mommy’s psychological state. For example, a shot and a cupcake means that the principal, poop and stitches were involved. So as not to discriminate, I will put together Daddy’s Hierarchy of Needs in a future post. yep thats right. home made scientific pyramid is funny to see!